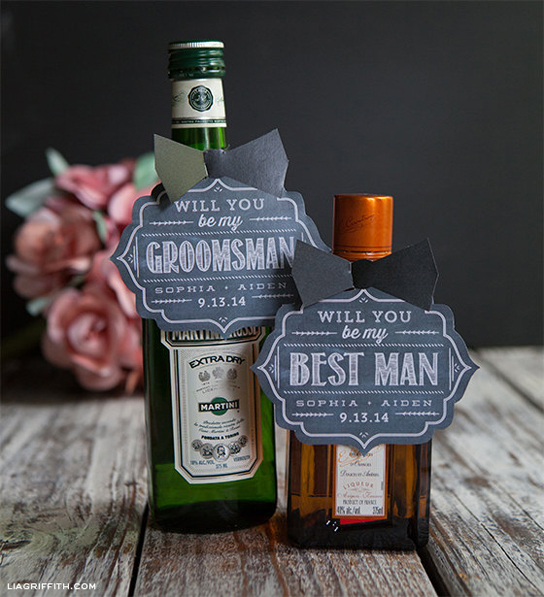 Asking the gents to be a part of the wedding party is a great excuse for the groom to get involved. 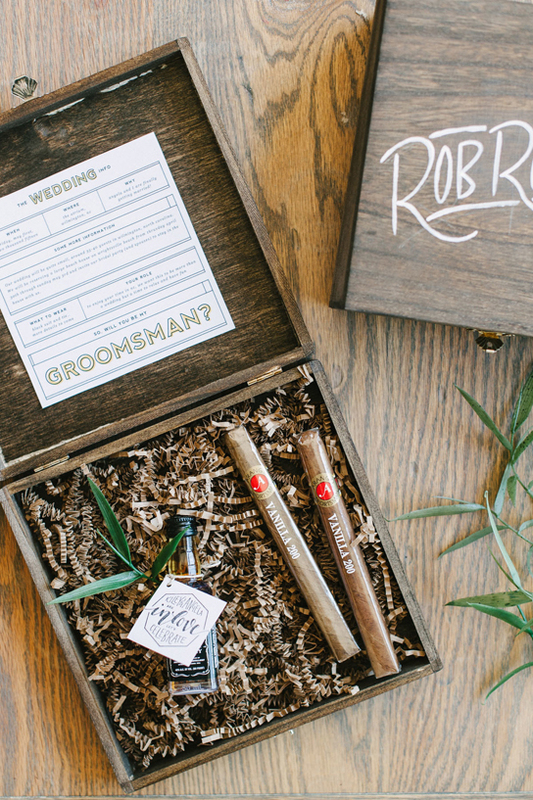 Here are some ideas to get the one-time wingmen to accompany the groom down the aisle on one of the most important days of his life. 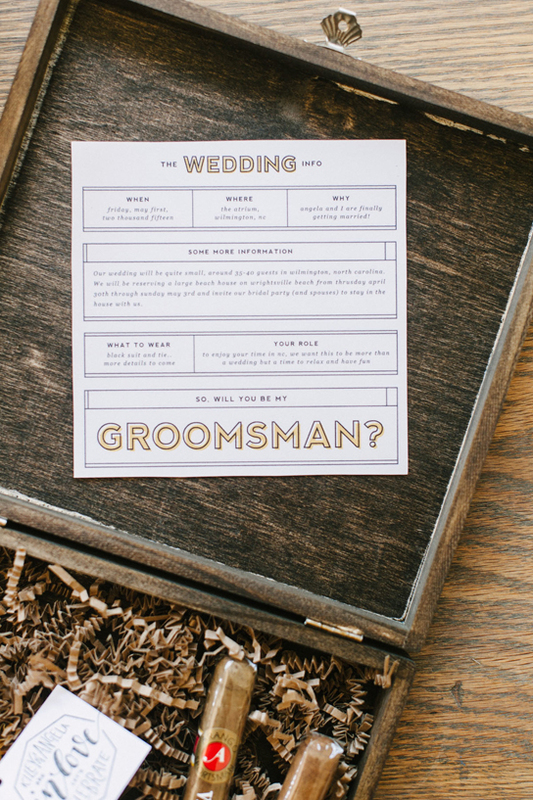 Fill out the bar with a bottle of something good and gift it with these printable chalkboard labels. 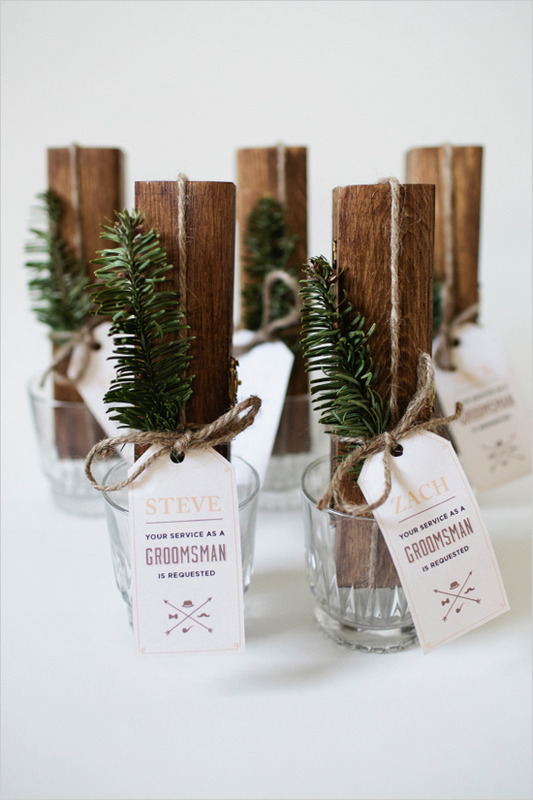 We suggest botanical bitters for the perfect cocktail or a bottle of his favorite scotch. 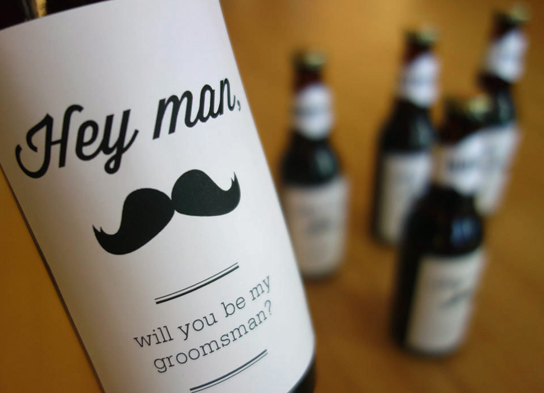 Punny men will like this polite request the groom must ask. 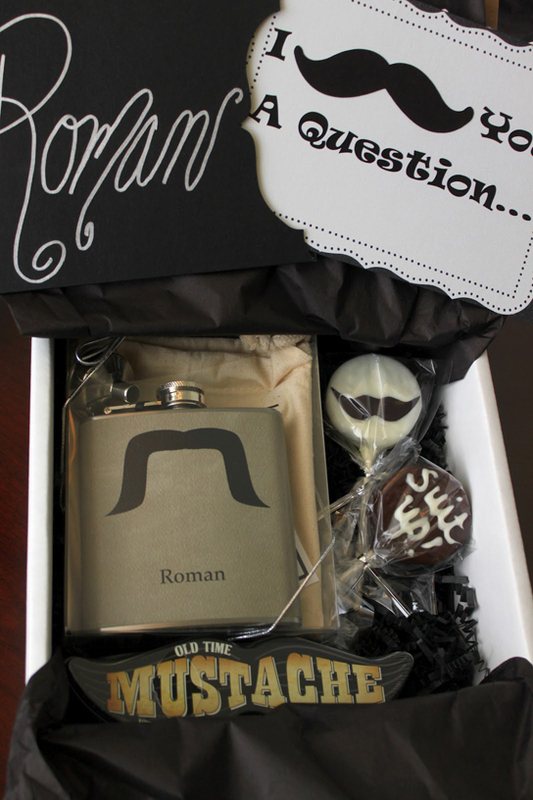 A crafty project for the groom-to-be to take on including a flask, cake pops and more. Instructions at Elizabeth Doodah. 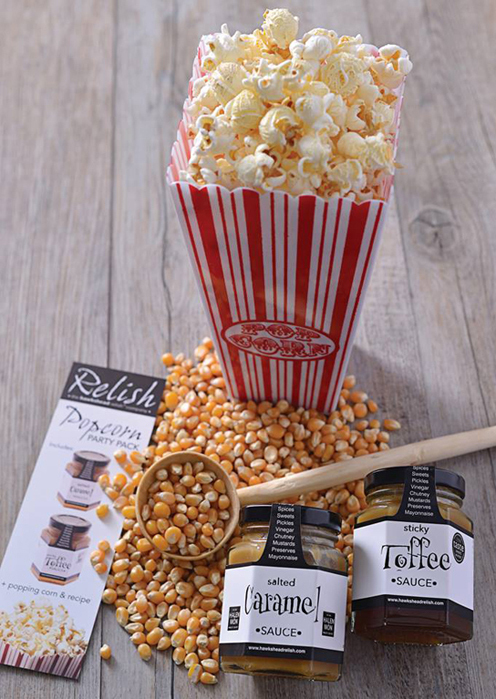 “POP” the question with gourmet popcorn perfect for that amazing home theatre set-up he has and a include copy of a classic groomsman comedy, like The Hangover. 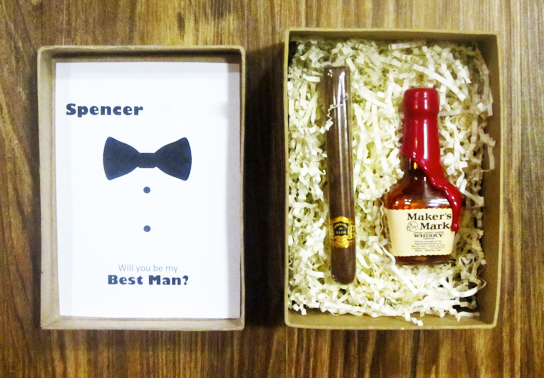 Black tie, cigar and bourbon…what more do you need to pop the question? 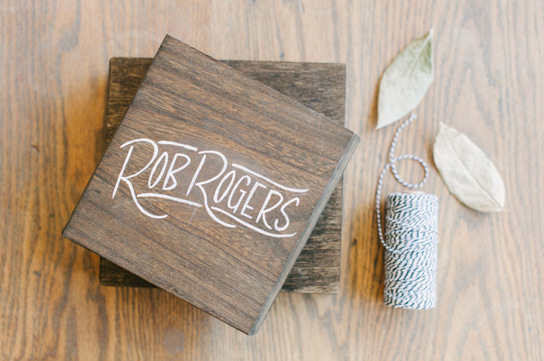 Learn more about this simple DIY project from The Blissful Brunette. 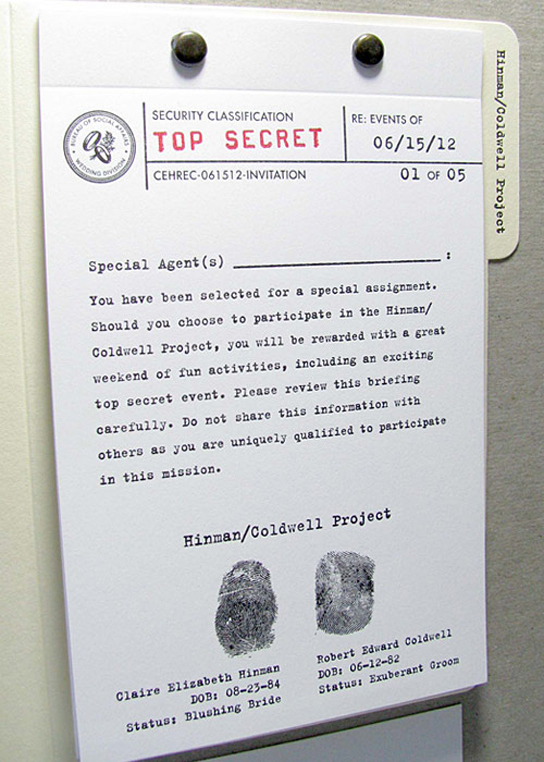 These are actually FBI-inspired wedding invitations, but these “secret files” would make great groomsmen request cards with a gift.